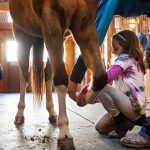 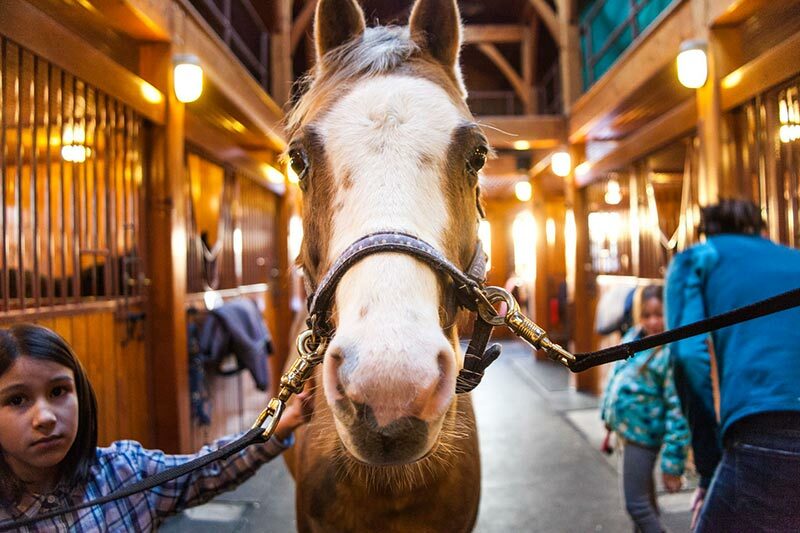 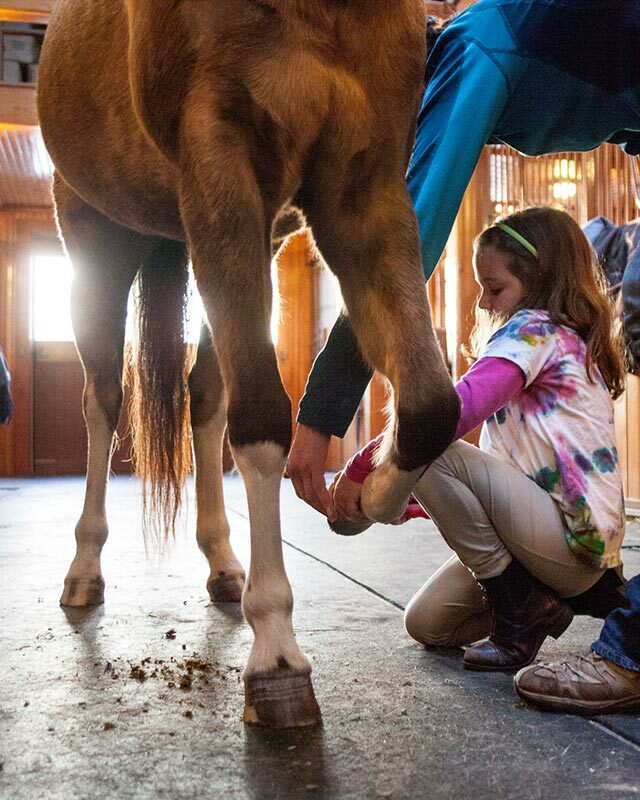 Island children groomed, tended, and rode horses at the revived Misty Meadows barn in West Tisbury on Monday, gently guided by the organizers of the new horse center. 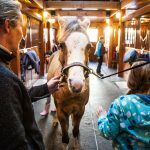 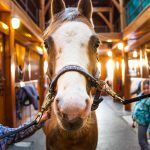 The excited murmurs of the young riders, and patient instructions from their elders, echoed through the old building, which has an elegant new polish, courtesy of owners Carol and Jerry Kenney. 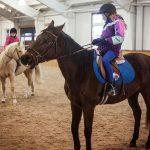 The Kenneys hope to turn it into a non-profit center for horsemanship education, and to facilitate therapeutic equine counseling. 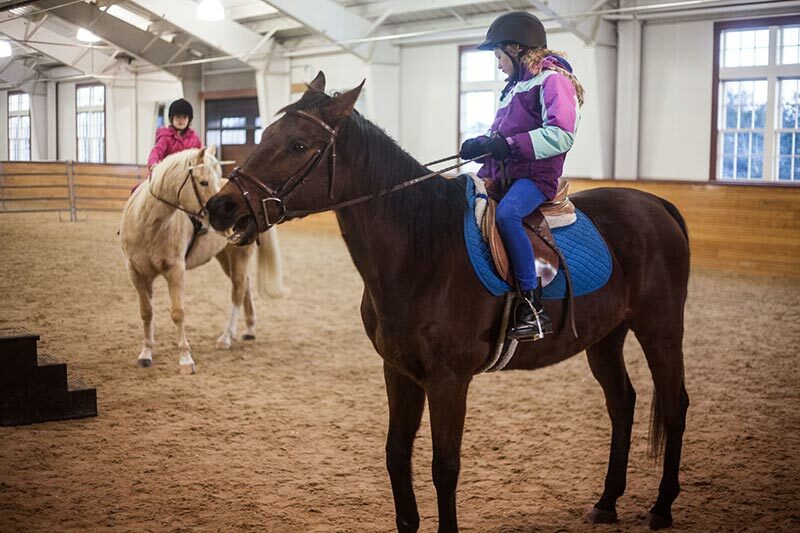 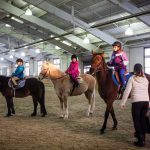 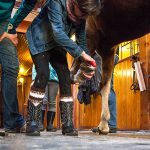 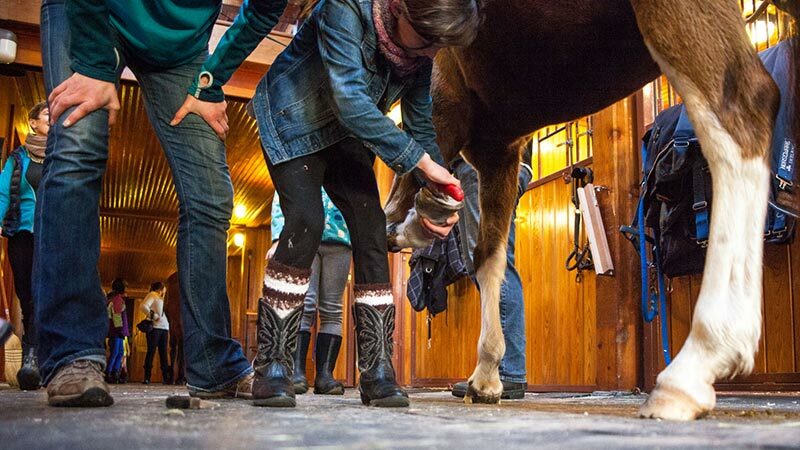 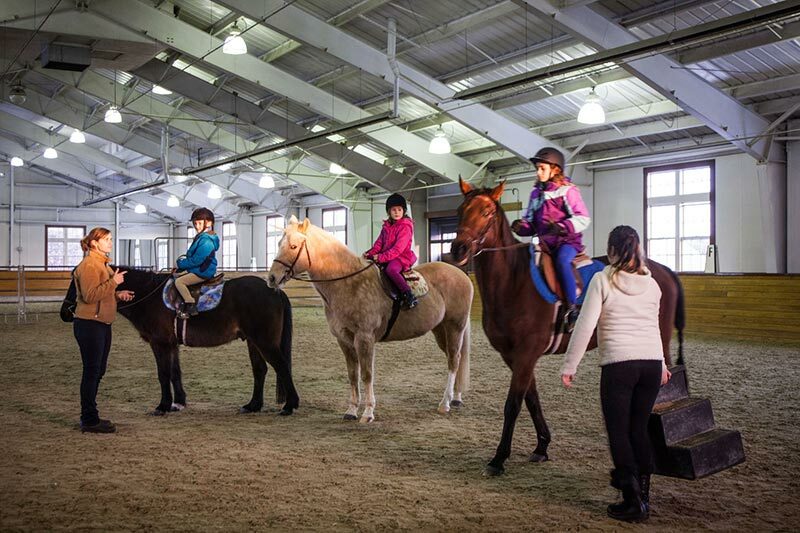 Samantha Look, along with Tilly, a very patient horse, gave lessons in brushing and shoe cleaning, while Alison Rich Stearns led novices on riding lessons in the ring. 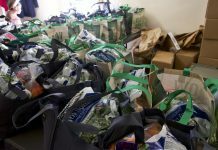 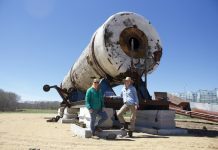 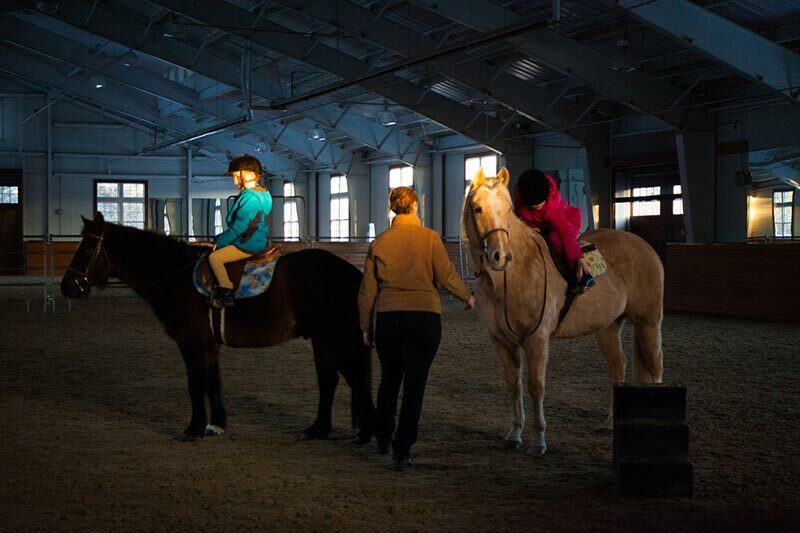 Sarah McKay and Rebecca Miller, also organizers of the Horse Center, floated around, keeping errant children from climbing too far up the haystack, and touring the equipment room as the last rays of daylight filtered into Misty Meadows. 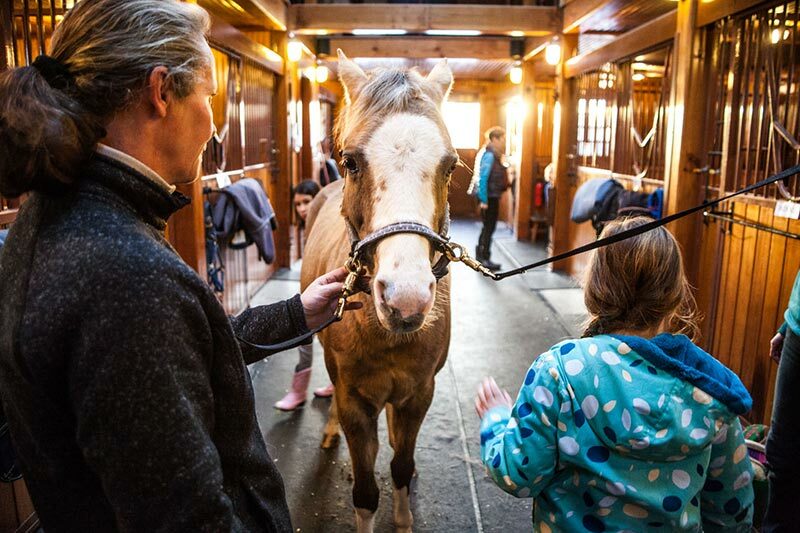 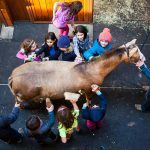 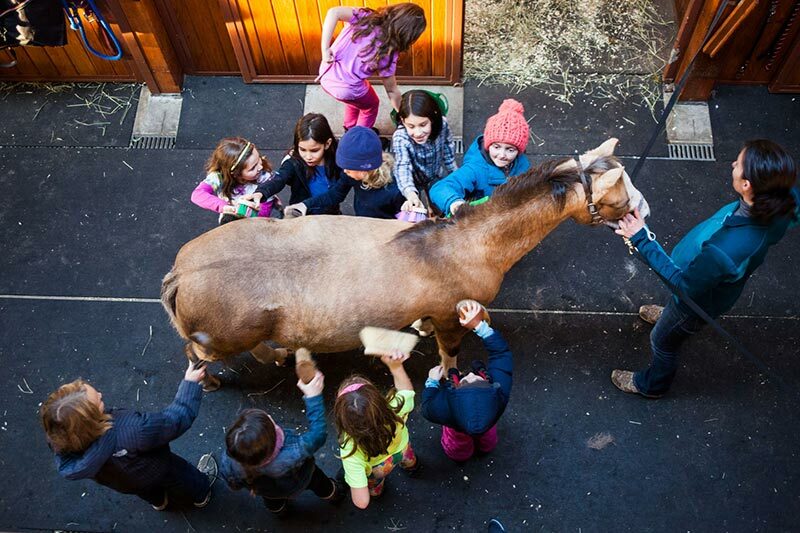 For a more complete story on the plans for the Community Horse Center, see this story in The Times.